Jerome Solomon speaks with University of Houston basketball coach Kelvin Sampson about re-signing with the Cougars, how close UH was to playing for a national title and what the program can accomplish moving forward. 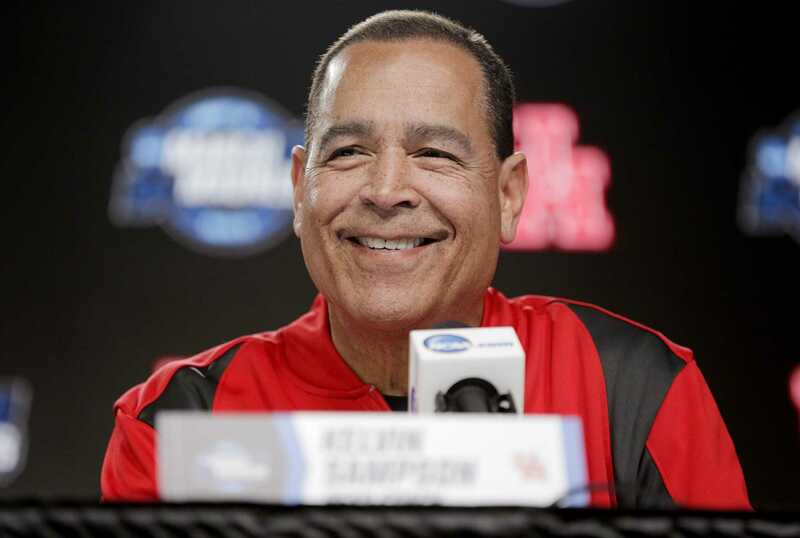 Not wanting to start over was a huge part of the reason Kelvin Sampson says he elected not to even really kick the tires on any potential coaching offers. He turned his phone off after the University of Houston lost to Kentucky in the Sweet 16 and didn’t turn it back on for a couple days. Of course, there were messages left by a certain school in the Ozarks, but within two days, Sampson and UH had agreed to a new six-year contract. The idea of Sampson leaving UH was traumatic for many Cougar faithful, who had for so many years longed for a coach to bring the program back to life. The good news for Houston is Sampson is here to stay and the same goes for his Cougars as conference title contenders who could make an NCAA Tournament run. This episode of the Texas Sports Nation podcast brings you Sampson’s interview with Jerome Solomon on the “Houston Sports Show,” one of his first interviews since he signed the new deal. Well, one things for certain. Solomon is an unrepentant fan of Sampson. And having the most snarky local writer in your pocket is a coup. You can’t get enough good publicity. Great listen. Really love listening to CKS. He makes the interviewer’s job so easy. Didn’t ever realize that White didn’t practice. I knew he’d had an injury but didn’t know it was a 40 minutes every day injury. That right there is dazzling. That kid went hard every game and turned some games with his relentless rebounding. To not even practice and pull that off…wow. All the other kids got to run 3 hours a day. He had to play without the cardio prep. Tough kid. CKS always gives great interviews. Thanks for the link. Do we know if Hinton had his nose surgery yet? So I guess we can squash that rumor of Arkansas having never tried to talk to him in first place.